What is available flat size in Citizen Shubhalay? Flat sizes in the project range from 713.0 sqft to 1340.0 sqft. 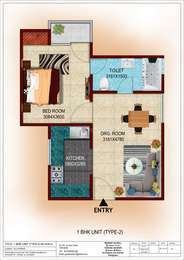 What is total area of 1 bhk in Citizen Shubhalay? 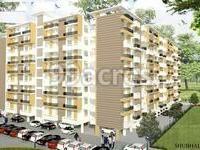 1 BHK unit in the project are available in an area of 713.0 sqft to 993.0 sqft. 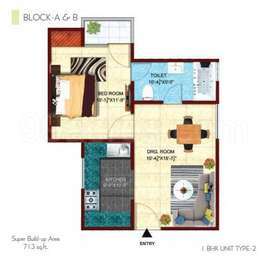 What is size of 2 bhk in Citizen Shubhalay? 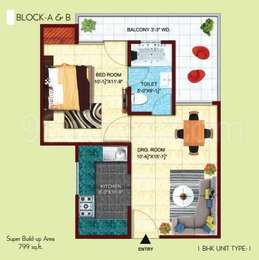 The area of 2 BHK apartments ranges from 1209.0 sqft to 1340.0 sqft. What is the total area of Citizen Shubhalay?The project spans across 1.8 Acres. When is the expected completion date of Citizen Shubhalay?The project completion timeline has been set at Dec 2020.